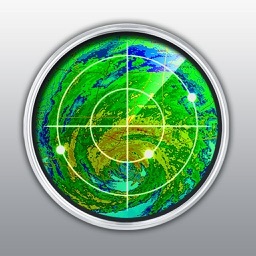 A number of weather apps include some form of radar. 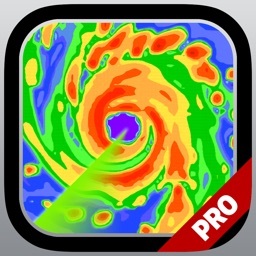 What makes these apps stand apart is that they highlight the radar first and foremost. 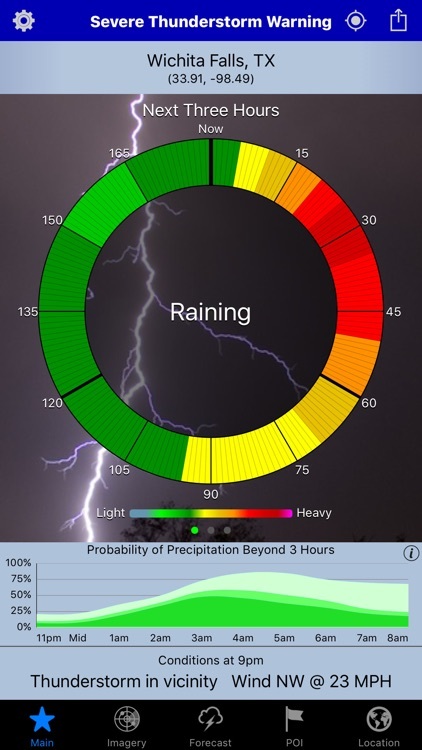 Each app in this sub category offers an extremely deluxe and accurate weather radar to let you see the conditions and their potential change for yourself. 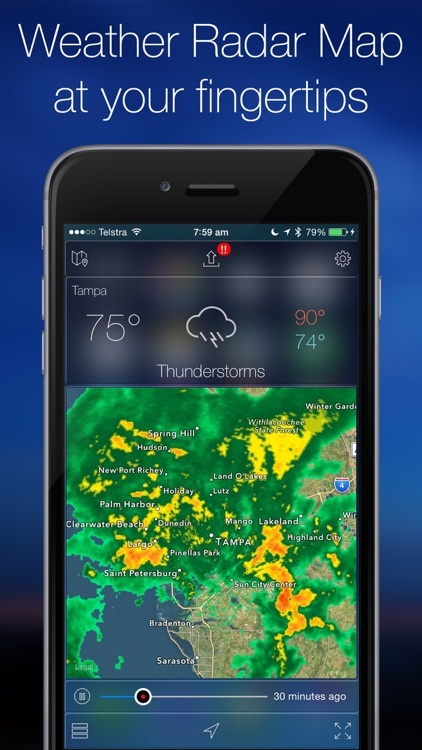 Be a weather forecaster yourself with these weather radar apps. Seasonality Go! takes a non-standard approach to the weather app, with great results. 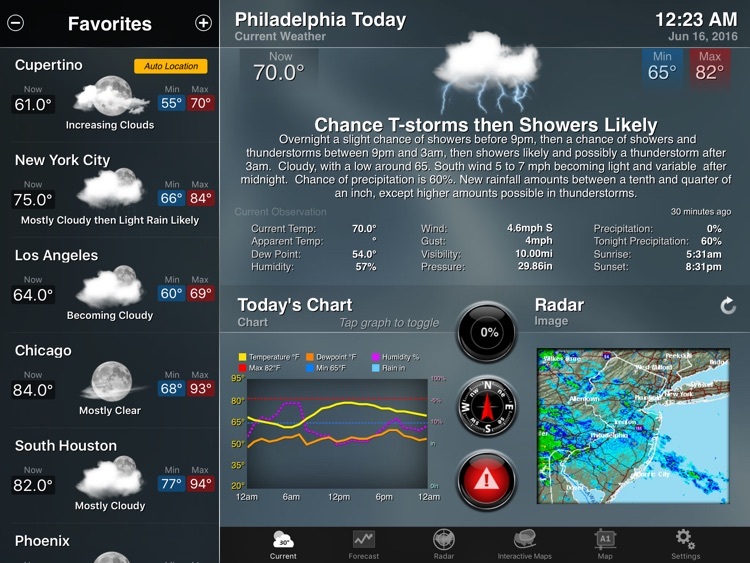 The interface consists of “screens” that users can customize with any available weather data, by moving and resizing panes with forecasts and maps until they find the one they want. Every location can be a screen, or users can create multiple screens for a single location. Moving and resizing the panes of information is undoubtedly fun. 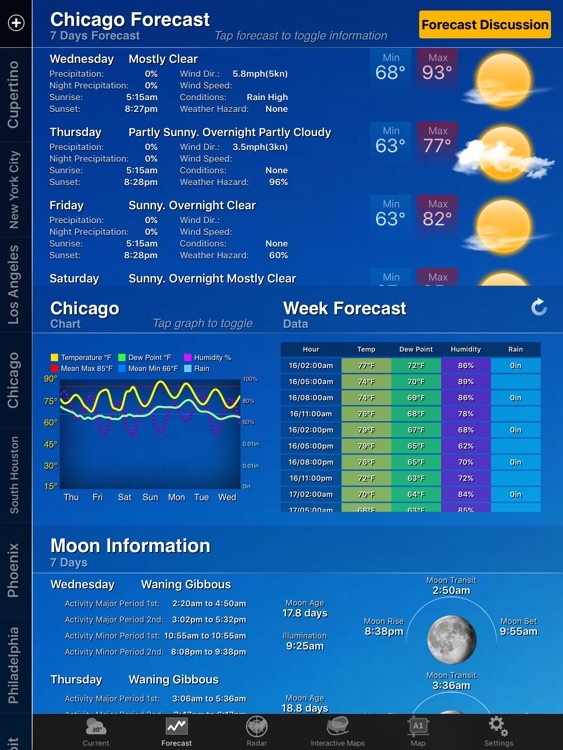 However, the app would be improved by adding more options, and especially text options, to the panes you can use, so that users don’t have to use graphs to display crucial data such as the hourly forecast. 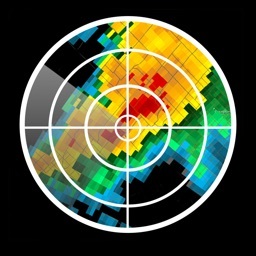 Real-time radar images, severe weather alerts, accurate weather forecasts and much more - precise & timely to keep you safe! 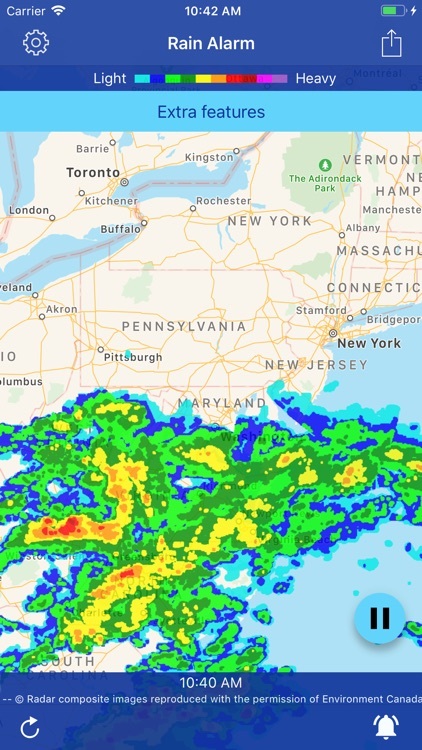 Use Weather Radar to see the NOAA doppler radar of the USA and many other countries and/or regions worldwide. One look tells you the current weather condition, accurate forecast and how it could impact you. 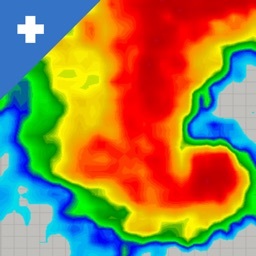 Introducing Weather Radar - a complete rain radar and weather forecast app with severe weather warnings. 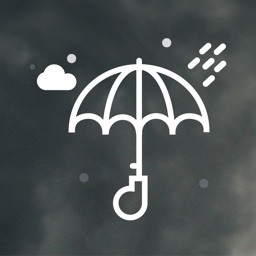 User friendly and beautifully designed, this is the only weather app you need. 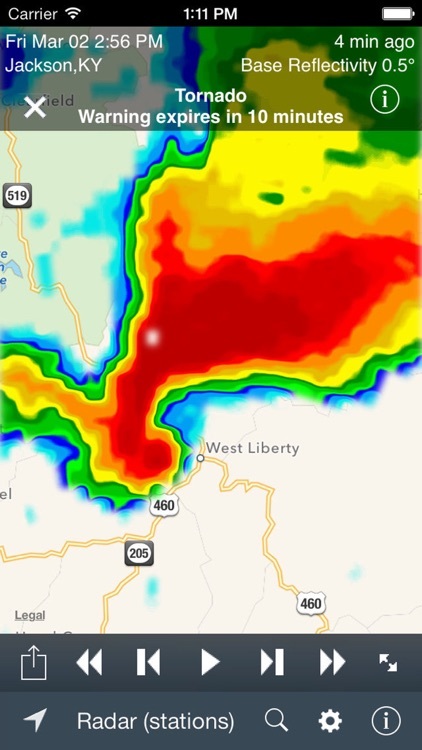 Share your radar video loop on Facebook or email and the latest radar image on other social media. 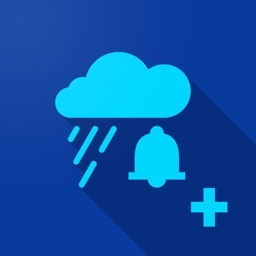 Rain Alarm XT reliably warns you of rain or snow approaching your location using push notifications. Instead of predicting probabilities, we use real time data to warn you as soon as precipitation approaches you. 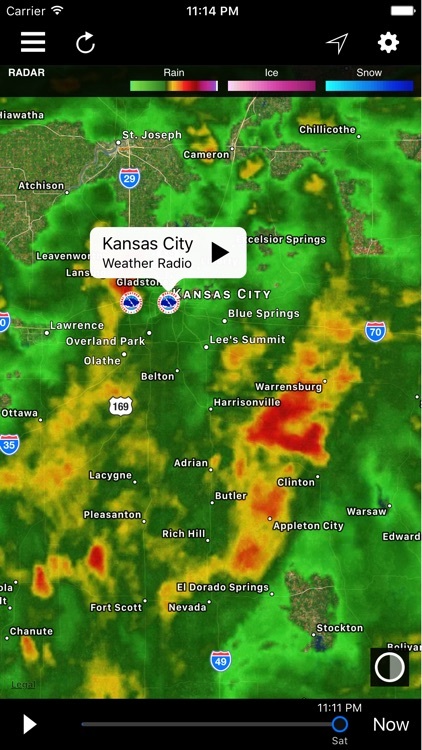 The app displays and animates the latest Doppler-radar images from many weather services around the world. 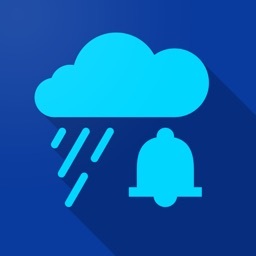 Weather reports, forecasts, and radar for weather nerds! 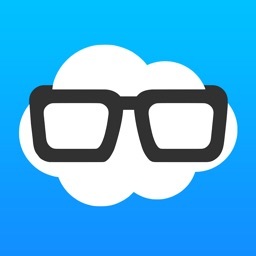 Featured by Apple, MacRumors, CNet, App Advice and more! 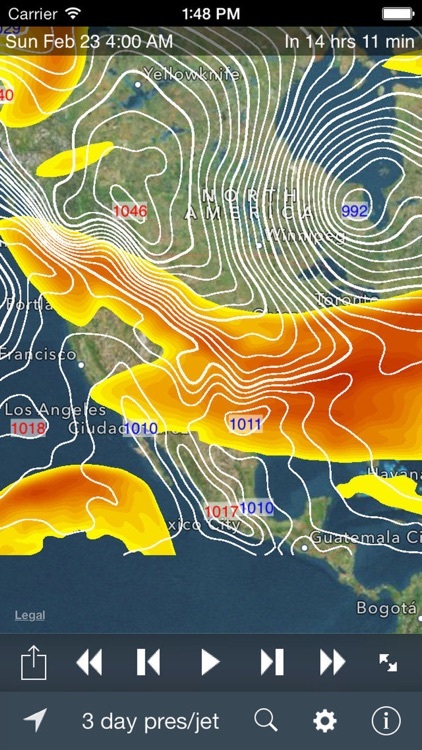 "Weather Nerd is a comprehensive package in a gorgeous wrapper." Stop wondering and start KNOWING. 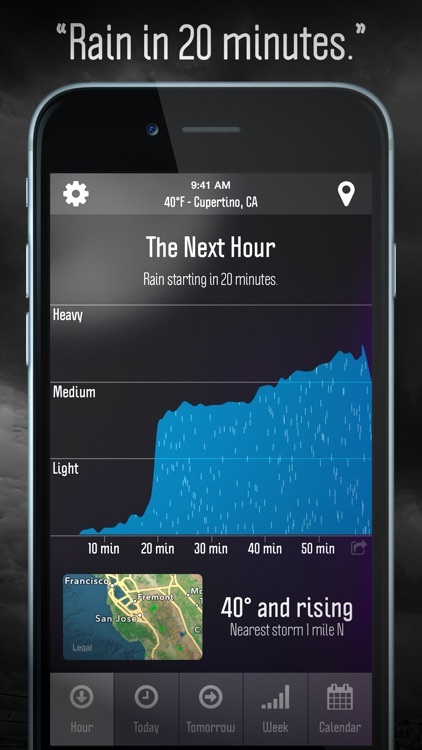 Time rain and storms to your exact location with RainAware. 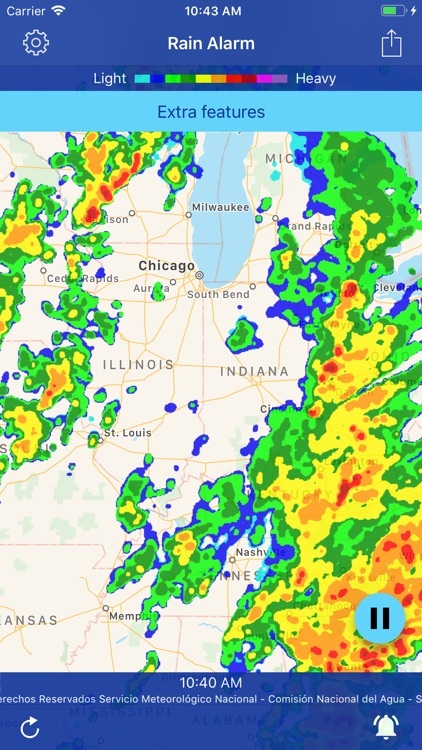 RainAware updates quickly to stay ahead of changing weather. We create a customized forecast just for you. Skies look dark? Doesn't always mean rain. Don't be surprised again, know for sure! 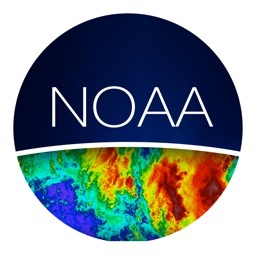 Get the most accurate and detailed weather, sourced directly from NOAA. 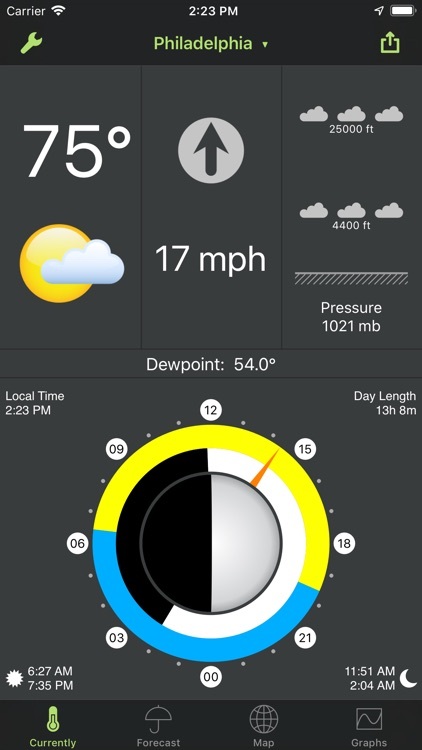 Designed for the iPad with a user friendly interface and the ability to get the weather information you need. - View your favourite places together with their current, maximum and minimum temperatures. More often, delays in storm warnings and weather alerts also significantly affect a large part of our population. 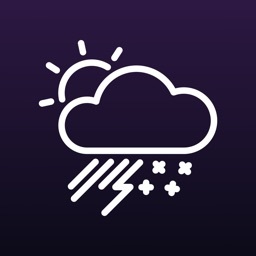 To address all your weather information needs accurately, we meticulously designed the most complete app: Wthr Complete; an extensive live weather app which provides comprehensive weather details and reports for your local region with simple, sleek and intuitive interface like no other. 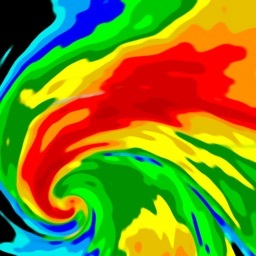 "What Wthr Complete does better than most weather apps out there is in the graphics department. 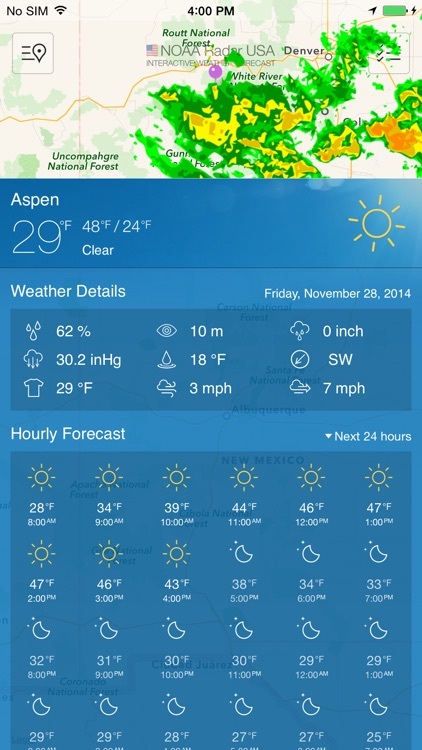 It’s not too shabby when it comes to providing comprehensive weather info as well” - Hypi.st! 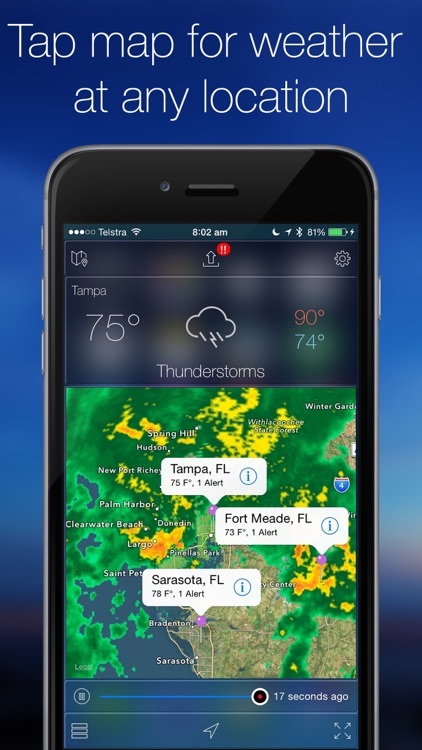 •Now get Weather Updates on your Apple Watch! Most detailed yet intuitive watch inter-face. •Check last 4 years average weather forecasts for a particular day. Predict the weather beyond just 8 days. •Simplest navigation with horizontal scroll for details and vertical swipe to switch locations. 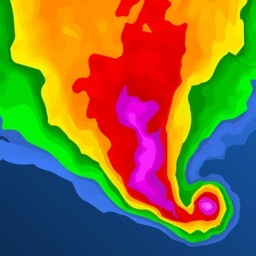 •Comprehensive weather forecast reports for over 1 million world-wide locations. •Weather Comes Alive! 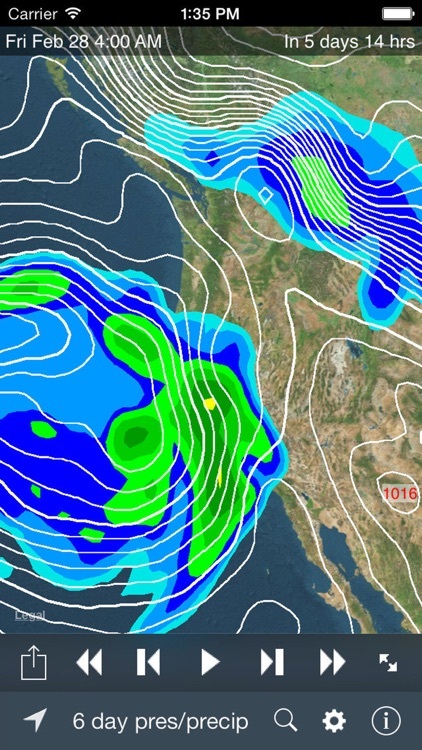 We have an Intuitive, seamless user interface and animated weather conditions and radar maps. 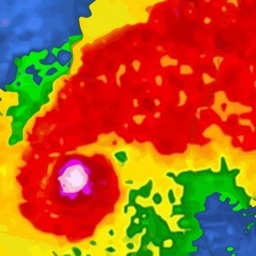 •Radar Map Layers to select between road or satellite views. Map overlays for it’s QPF, Cloud cover, Precipitation, Temperature, Wind speed, Earthquake, NOAA Radio and Sea Pressure. 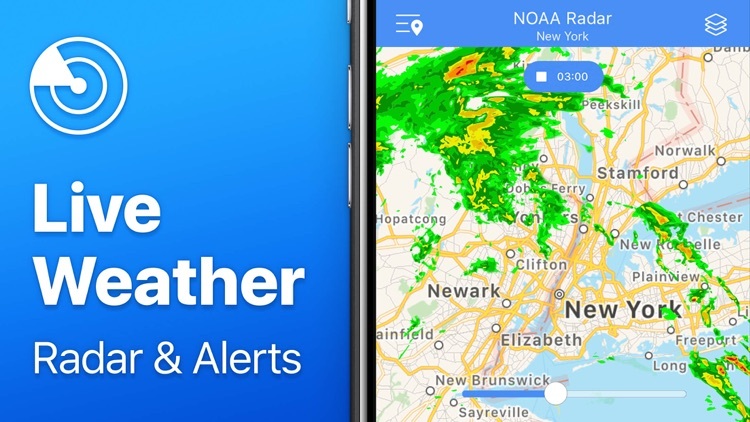 •Around 150 stations being broadcasted with flawless streaming of NOAA Radio to listen weather alerts directly on your device, on-the-go or while driving. •Get the latest worldwide earthquake details with extensive information such as time of occurrence, location, magnitude strength and depth. 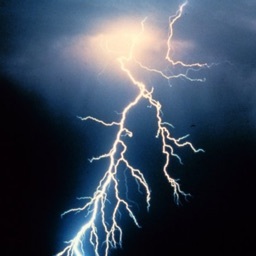 •Severe Thunderstorm & Flash Flood Warnings to notify you as they happen! (US locations only). •On-screen clock showing each local city time. •Instantly switch between Celsius OR Fahrenheit temperature or Metric & Imperial unit choices. If you have any questions, suggestions or encounter any problems with Wthr Complete, please contact us. Please leave a review on iTunes if you like the app! We really appreciate your reviews and suggestions. It helped us crafting this app to the best in its class and we strive to improve it further. 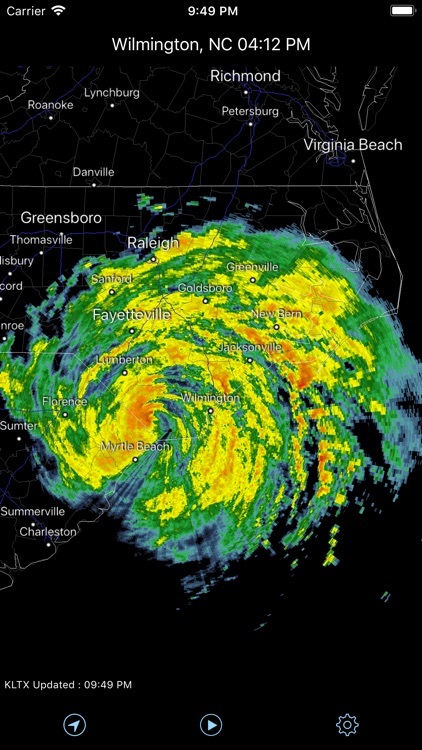 Get access to all 150+ U.S. NEXRAD radar sites! 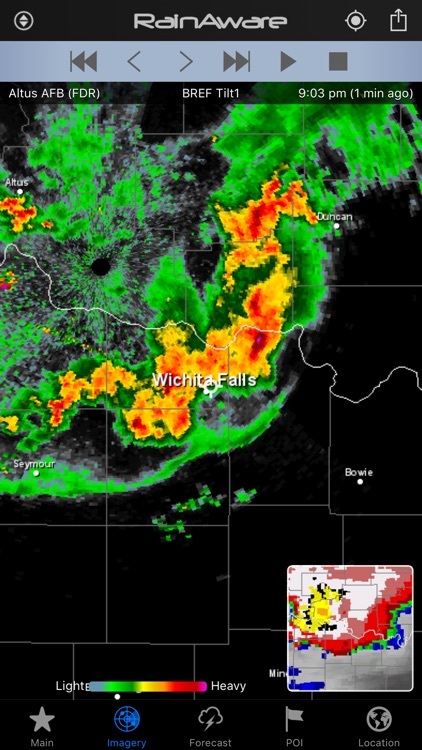 Plus Regional and National Radar Mosaics! * Optimized for ALL iOS screen sizes! From the iPhone SE to the biggest iPad Pro and the new iPhone X! * Today widget - National US radar mosaic widget in Today view. 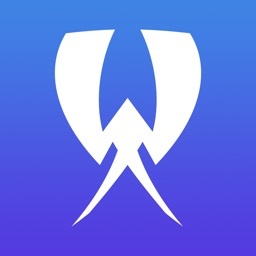 * Quick actions and widget view from your home screen for 3D Touch enabled devices. * Support for Dynamic Type. If you need larger text, you have it now! Want tiny and tight text, got you covered there too! * New settings, new looks, and new ways to access radars! * Plays well with others! 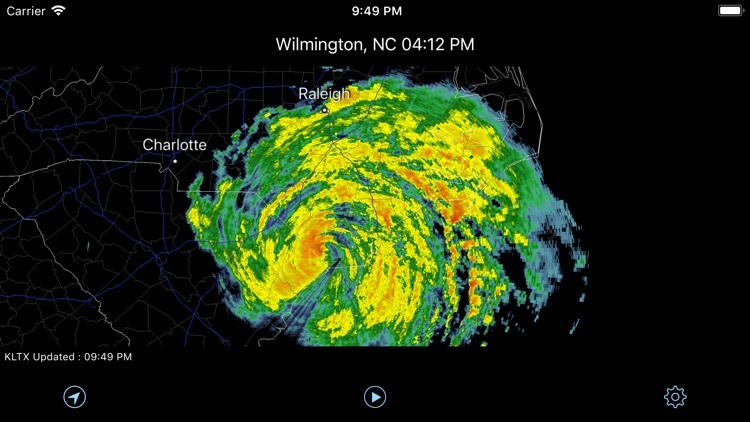 So for you folks with iPads capable of Split View, wxRadar adapts to a perfect fit. - Standard - Hides the Weather “Geekery" and Just Gives You “The Radar”. 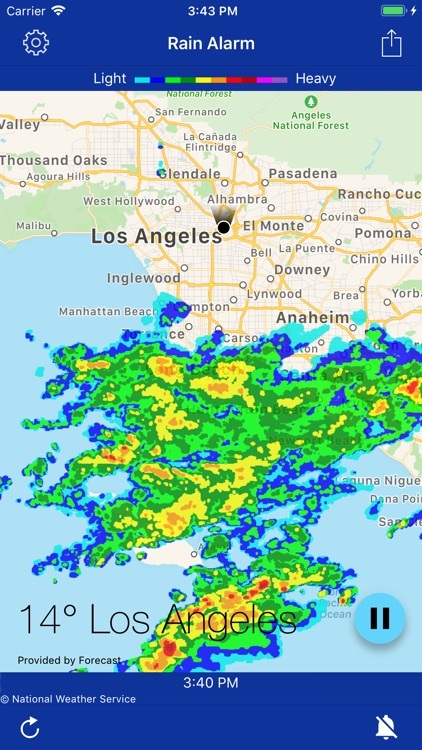 - “Out of the Way" Mode: Tap the time stamp to toggle on/off graphics on top of the radar data for unobstructed view of radar echoes in "Classic" mode. In "Apple Maps" mode, this action will dim the radar layer's alpha for a more clear view of the map layer. Older devices (pre iPhone 5s) and all but the newest iPads may struggle with radar animation when in "Apple Maps" (MapKit) mode. It is recommended that you use Classic or Express for radar animation. You might also get better results by adjusting the animation speed in map settings and/or zooming out. Support for Apple Watch is currently limited. Unfortunately, there is not yet a way available to developers to implement zoomable/scrollable images. Please consider Apple Watch support to be a "hobby" at this time. 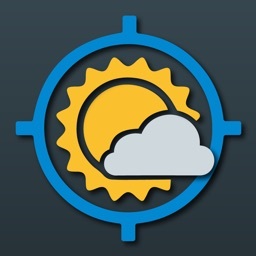 Get accurate and detailed weather directly from NOAA. 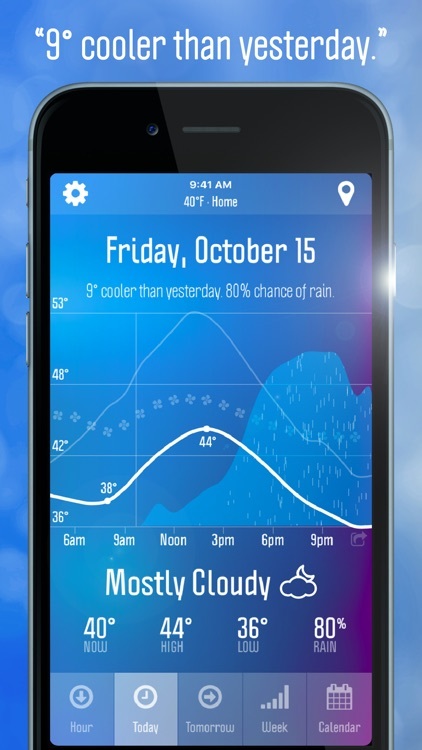 Designed for the iPhone with a user friendly interface and the ability to get the weather information you need. 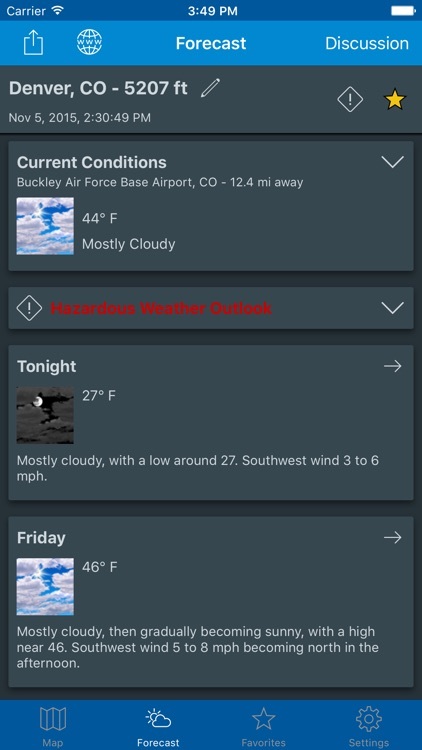 What features are exclusive to NOAA Weather App? 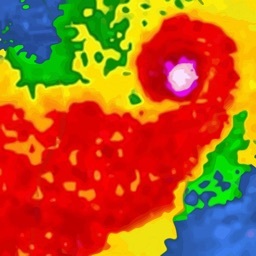 - Radar maps sourced from NOAA. - Location finder which uses your current GPS location to get nearest weather information automatically. - Exclusive 3 hourly weather forecast for next 72 hours and 6 hourly forecast for next 7 days for all location in US. - Exclusive 24 hour forecast graph to show visually the forecast temperature, maximum, minimum, humidity and rainfall. - Exclusive 7 day forecast graph shows visually the forecast for the week ahead. Get forecast temperature, mean monthly maximum, mean monthly minimum, humidity and rainfall. - Exclusive celestial information from sunrise, sunset, moonrise, moonset to major and minor periods information used by fishermen and hunters. 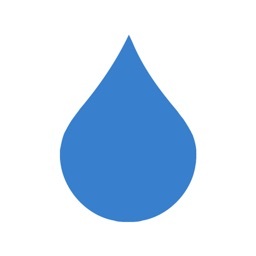 - Rain radar to predict when rainfall will reach you. 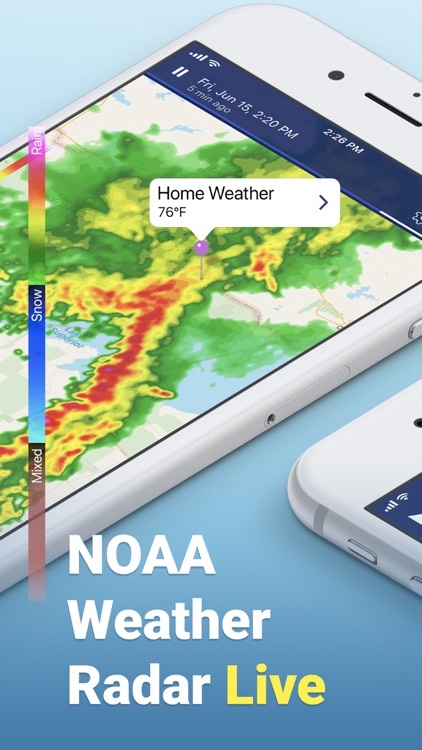 NOAA Weather App is designed with an intuitive interface and fully equipped with all the weather information you need in your pocket. 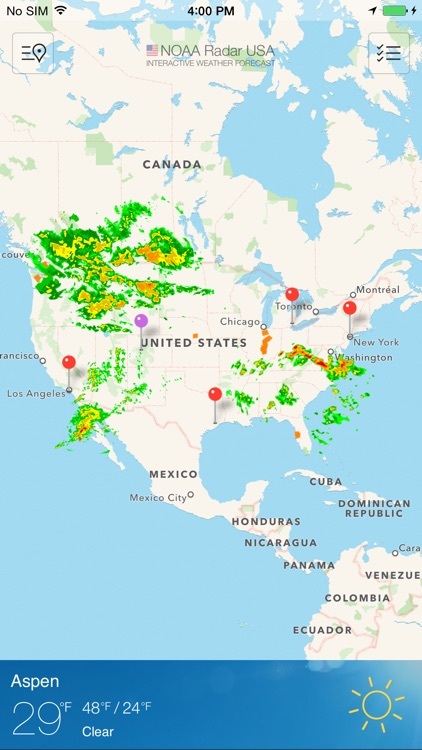 - This App contains weather information only about United States of America and its territories. - The data is sourced from The National Oceanic and Atmospheric Administration (NOAA) and was not developed or published by NOAA. 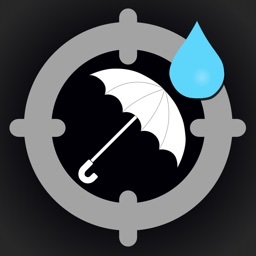 Any questions, bugs or recommendations should be sent to us [email protected] or visit us at www.weatherinfoapp.com. 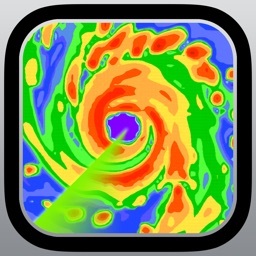 Weather radar in your pocket! 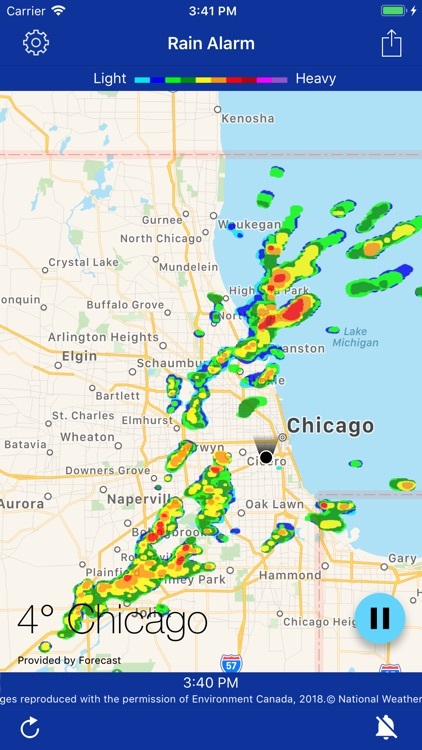 Use RadarNow! 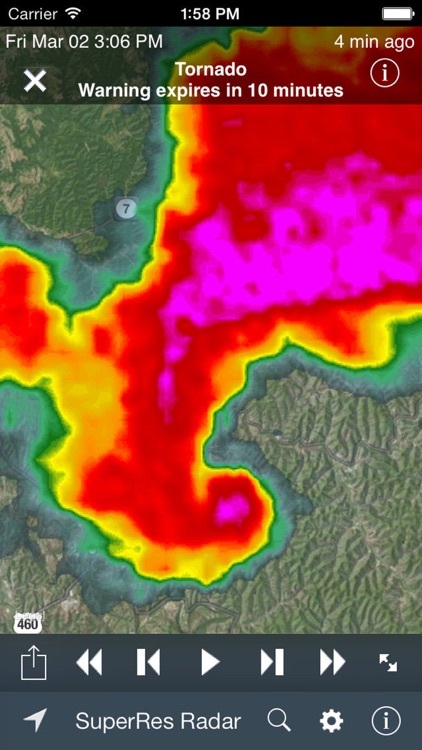 to quickly see an animated radar image and current conditions! No digging through menus to see if a storm is on the way! RadarNow! provides National Weather Service (NWS) Enhanced Radar "Base" (N0R) images from the NOAA WSR-88D NEXRAD Radar sites located around the US. Radar images are downloaded directly from NWS servers so are always the most current available. When you start the app, the radar images are from the site closest to your location. NWS Alerts coming soon. Only alerts issued to the your current county will be sent and the alerts can be filtered so only the ones that interest you are used. Don't like Ad banners? It's now possible to opt-out banners with paid upgrade (Settings > Upgrade). Please use the "Contact us" form inside RadarNow! (Settings icon > Contact us) if you encounter a problem or have a suggestion for improvement. We value your input! It was suggestions and constructive critiques from users just like you that helped to create the new, improved RadarNow!. RadarNow! is designed to be fast, efficient and have great free options. 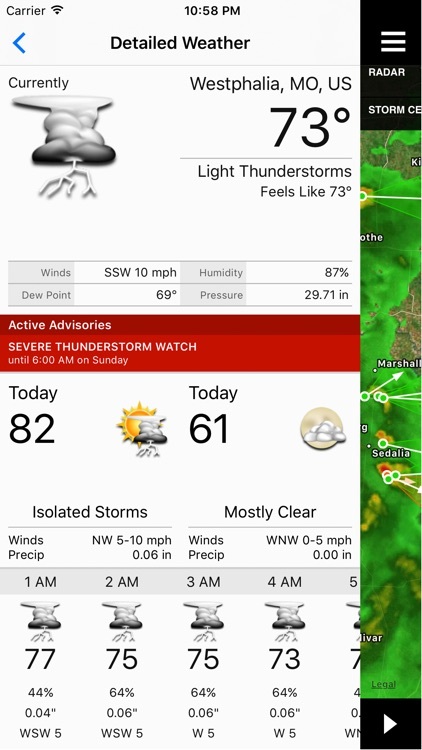 If you want a full featured weather app that shows things like ski conditions or tide reports, we suggest using WeatherBug or Weather Channel. RadarNow! 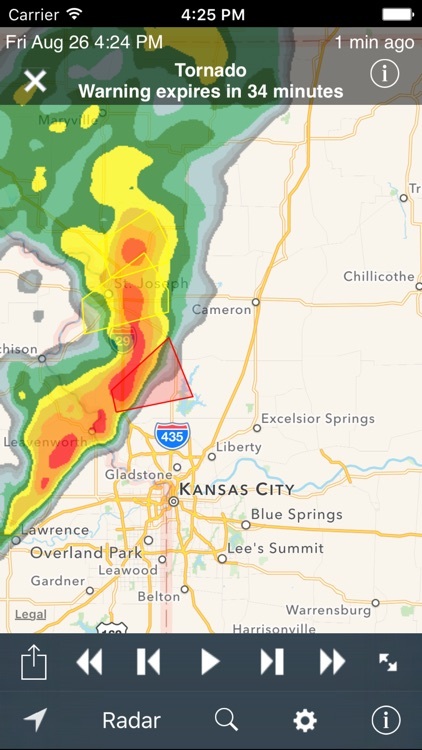 Standard (Free) provides animated radar, local conditions and NWS Alerts centered on your current location. Radar Now! 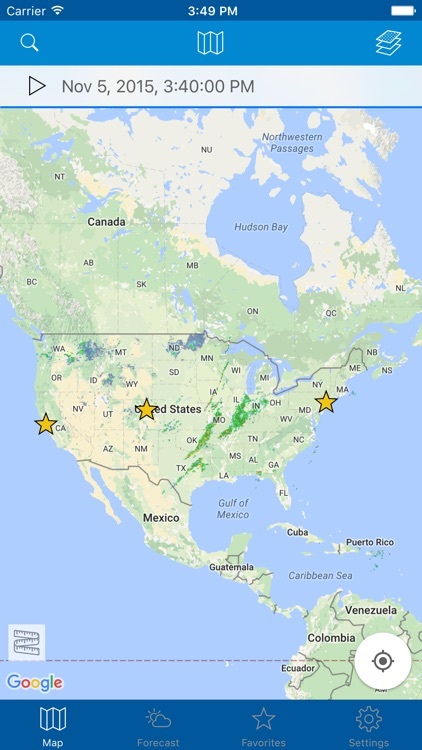 Premium provides the same but allows you to select other radar sites as well as provide more zoom levels, range rings, selectable locations and a pannable map of the continental US with a looping weather radar. RadarNow! 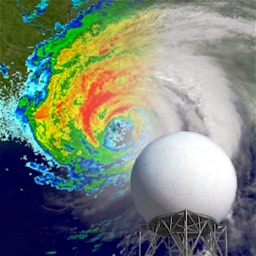 uses US radars only, therefore is active for entire U.S., Puerto Rico, Guam and areas of Canada, Mexico and the Caribbean that border the U.S. Battery is used ONLY when RadarNow! 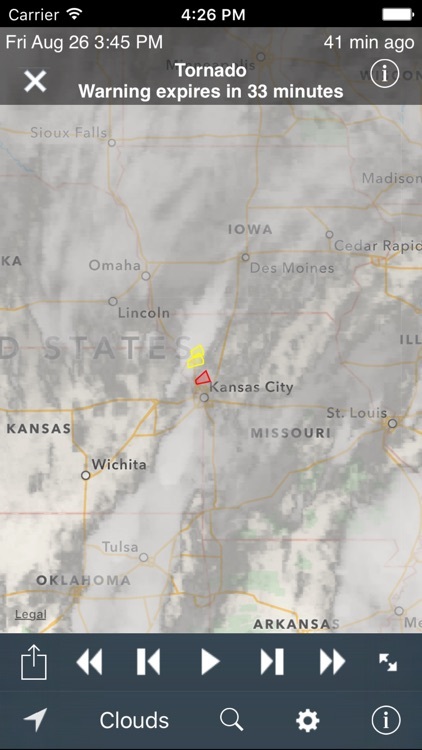 is active, otherwise RadarNow! has no effect on battery life. RadarNow! uses GPS and network location services to fix your location. If location services aren't available, Zip Code can be used with RadarNow! to set location. This version of RadarNow! 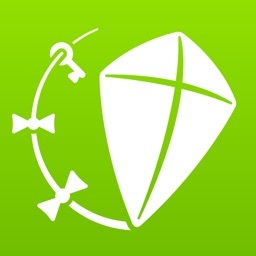 was created by USNaviguide in cooperation with Mighty Pocket.